From the first time clients meet the Spanish Solutions team, often after a referral from a friend or family member, they really trust Spanish Solutions. We can understand why. Many clients often ask us can they purchase their spanish property directly from Spanish Solutions as they know they would receive honest unbiased advice. We have processed 8,000 deals since 2005. Who better to buy your apartment on the Costa Blanca from right? As much as we dislike disappointing our clients this is one area where we have to say “Sorry no we can’t”. We help our clients to buy of course, but Spanish Solutions are not Spanish property agents nor will we ever be. That said there are many ways we can help our clients to achieve their Spanish property dreams. The vast majority of Spanish Solutions’ work involves some sort of conveyancing. This is basically the legal process of signing in the notary for the deeds of your new home in Spain. 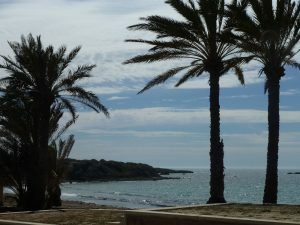 True, many estate agents on the Costa Blanca offer the service to their clients for free, done by the agent themselves. We think this is a bad idea. Estate agents generally do a great job introducing buyers to property in Spain. They work hard to achieve this. The legal work, the notary, the paperwork, the electricity, the water, the banking, the community affairs should all be handled in our opinion by a professional firm on the Costa Blanca such as Spanish Solutions. If you would like to discuss your conveyancing call Nicola on 0034 966761741. If you, like thousands of others, purchased your spanish property from an agent based in the UK Belgium or Scandinavia you probably need a presence on the ground here on the Costa Blanca. Spanish Solutions are here for you as well as for your agent. She does not want to waste time handling calls to Iberdrola when your electricity does not work, call Movistar when your internet is down or call the bank to see where that missing 5000 Euro has gone!! Spanish Solutions provide a safety net to agents and buyers to ensure a smooth property buying process in Spain. Over the last 13 years. Spanish Solutions has built solid relationships with all of the best estate agents on the Costa Blanca. These guys do a great job we couldn’t ever do, negotiating deals for the clients, buyers, sellers and builders. Without these trusted agents the real estate sector in Spain will slowly grind to a halt. There is a point in the deal when the agent must trust a law office and pass their client over to them. We were the winners of the Costa Blanca people business of the Year Awards a couple of years back, partly because we are that company, that local agents trust. It is a terrific compliment when an agent hands that client over to us knowing we are going to treat them just as well as the agent would himself. We are the company who is with that client from when the deposit is paid, contracts signed and eventually to the handing over of the keys and way beyond. The old saying states “Nobody gets paid until a deal is done”. we know that and ensure the deal gets completed to ensure the buyer, seller and estate agents enjoy their experience with us. This is the ultimate win,win,win,arrangement. Of course this only applies to our British clients. There are estimated to be as many as 1 million British people who own property in Spain. The figure is debatable because so many British people remain unregistered with their local Town Hall , which is certainly a heck of a lot of British people. Perhaps you are one of these British people living in Spain who is worried about Brexit? In the event of a hard Brexit what happens to your property here? Is my British registered car legal in Spain? Is my doggie passport valid? Can I still receive my pension in Spain? I should gift my property in Spain to my children now to avoid problems with inheritance down the road; what does that entail? Whether or not you’ve used Spanish Solutions in the past we can help with your Brexit questions. What to do when something goes wrong with your Spanish property purchase. Nobody likes to think about it but it does happen. Things can go wrong. The bank can make a mistake. The seller can change her mind. Perhaps there is an outstanding debt on the property? The best way you have to protect yourself while buying a property on the Costa Blanca is to speak to Spanish Solutions first. Example: We recently had an Irish buyer and a Spanish seller, both chose to use Spanish solutions. Some details are changed below but basically the buyer agreed on the price and paid 6000 Euro to the agent for the purchase of a small studio apartments in Playa Flamenca. Eva in Spanish Solutions was dealing with this. When checking the paperwork, a disaster. It transpired that the Studio apartments in that block were zoned commercial and not residential as we all believed. The buyer was facing fines and a long legal process so naturally they pulled out of the deal. The sellers were distraught. Illegal battle for the 6000 Euro deposit appeared imminent. Spanish Solutions simply arranged a meeting with the Spanish owners, the Irish buyers, antonio our engineer, eva and the lawyer. Antonio explains to both parties the genuine issue there was with the Deeds. It took some persuasion. but eventually everyone agreed it was nobody’s fault. one hour later the sellers agreed to use the six thousand Euro deposit to rectify the paperwork, and agreed to delay completion by 12 Weeks. as an olive branch, they allowed the buyers there 2 weeks holidays in the apartment in July before completion. Two weeks ago we completed the deal and we now have a happy buyer, a happy seller, a happy agent and everybody is a winner. Imagine if they had not used Spanish Solutions? Surely this was going to Court. It is possible to buy a property in Spain without a registered, trusted Spanish estate agents but we do not recommend this. Perhaps now as to why Spanish Solutions stick with what we know best, legal and tax issues relating to the purchase of property in Spain. Unfortunately we will never be able to sell you your dream home in Spain but we can certainly make the process go a lot more smoothly. Our main office is located in La Zena and has been since 2005. If you would like to arrange an appointment to meet one of our experts you can do it from the website, facebook or just email us anytime. We particularly enjoy hearing from estate agents both in Spain and abroad. Get in touch with Spanish Solutions today, and save yourself money and stress.